A car accident can be a traumatic experience with some long-lasting effects. In addition to the property damage and physical injuries that you have to deal with, an accident can also leave you with some lingering emotional scars and trauma. Many who have been in motor vehicle accidents, even minor ones, find that they are suffering from Post-Traumatic Stress Disorder, or PTSD, and need some additional care. 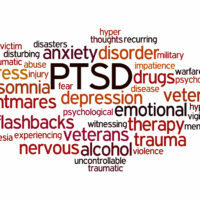 Post-traumatic stress disorder (PTSD) is considered a life-disturbing anxiety disorder that is produced by the experience of, or being witness to, a traumatic event that brings up feelings of fear and helplessness. PTSD is a real brain disorder, where the sufferer is unable to turn off their fight-or-flight reactions and anxieties that are associated with a particular incident. Symptoms of PTSD may not appear directly after a traumatic incident. In fact, they could be delayed as long as several months after the triggering event. Those triggering events, which were once thought to be limited to veterans, can often be traced back to other frightening experiences – like car accidents. It’s estimated that 70 percent of all adults in the U.S. experience some kind of traumatic event at least once in their lifetime. About 8 percent of all adults will also suffer from PTSD at some point. Car accidents are now the leading cause of PTSD in the United States. While a majority of motor vehicle accident survivors don’t suffer from PTSD, those that do often have acute problems that require ongoing care. Your chances of suffering from PTSD after a car accident are about 9%. It’s been found that MVA-related PTSD sufferers who already seek mental health treatment are at a greater risk for PTSD. If you’re in this class, your chances of suffering PTSD from a car accident go up to an average of 60%. For example, an MVA survivor who has a mood disorder such as major depression has a risk of developing PTSD that could be as high as 53%. Even if you have prior conditions, any PTSD from an accident where someone else was negligent deserves proper diagnosis and care. The treatment for PTSD varies depending on the severity of the issues and the individual. Some people can effectively treat PTSD with medication, others with talk therapy, and still others need a combination or some different approaches. Treatment can take as little as a few months, or it could require much longer. Many of the treatments for MVA-related PTSD work the best when they’re combined with care for your physical injuries after an accident. Children involved in car accidents can also suffer from PTSD. A child may experience long periods of nightmares, feelings of helplessness, or other fears. Children might show that they are stressed by recreating the accident during playtime, or they may develop difficulty in expressing thoughts and feelings. Both parents and teachers should remain attuned to children after a traumatic accident in the event that treatment or counseling is necessary. PTSD can have a significant and negative impact on just about every aspect of your life. Just because the injury isn’t something that you can “see,” that doesn’t mean that it hasn’t caused you harm that is worthy of compensation. 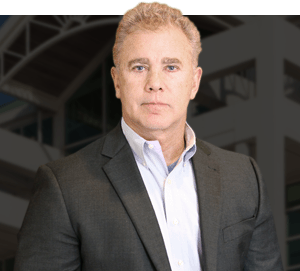 To discuss your accident further, including your PTSD, contact the Law Office of Gary W. Fillingim at 251-445-7257 to schedule a free consultation.